Grab, vehicle booking and mobile payment platforms in Southeast Asia, expanded its 75th city service in Indonesia and became the first vehicle booking platform serving users from Banda Aceh, Aceh to Jayapura, Papua. The expansion is in line with Grab's primary mission to make transportation accessible to everyone and contribute to resolving local transport challenges by delivering secure, convenient and affordable transportation services at a fixed rate of just one touch on a smartphone. "The Grab service in the newest cities will always follow the safety aspects we have set, from daily operations, driver training to technology features where safety is a priority for Grab. With a wide range of services across seven countries and over 60 million downloads, we are ready to become a transportation option for both local and Southeast Asian travelers, "said Mediko Azwar, Marketing Director of Grab Indonesia in a press statement here on Tuesday. / 2017). Grab has a comprehensive safety program, ranging from daily operations, driver training to technology features, to ensure Grab drivers and passengers are well protected during their trip. In addition, the Grab driver's partner is required to follow a series of rigorous backgrounds as well as training with a code of ethics that must be obeyed. Then to ensure the security of the trip, the users can access the names, vehicle plates and photo riders in the application, so they know from the beginning that the rider will pick them up. 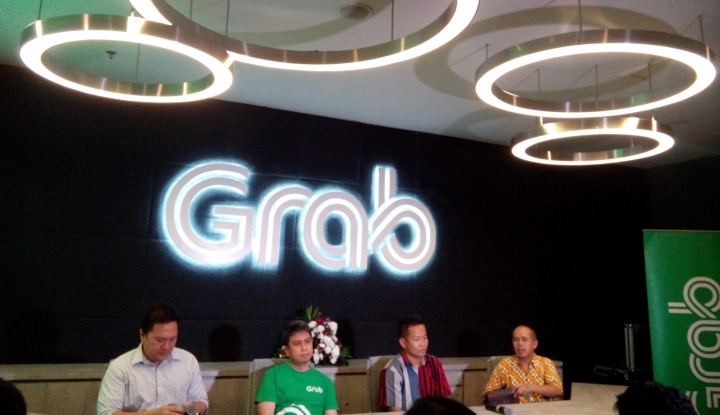 Grab also promises both driver and driver partners can contact customer service available for 24 hours from Monday to Sunday. Not only that, passengers can share information about the journey with friends and relatives to monitor the trip in real-time. These online transport providers also offer drivers and passengers free insurance coverage provided by Grab. And passengers can know travel rates in advance and do not have to worry about tariff increases especially when driving in the middle of congestion thanks to a fixed Grab rate. Another advantage of instant messaging features in the Grab app allows passengers and driver partners to communicate safely and efficiently for free without having to exit the app. And passengers can earn points and redeem them with discounts and promotions, so the more passengers drive with Grab, the more rewards they can accumulate.